Time measurement and equivalents in a fun online game. The incandescent light bulb structure in a fun game. Assemble the steam locomotive parts. Online Puzzle. Sort the units of length by their equivalent metres. Sort the automobiles by their highest speed. Sort the energy source on the correct power plant type. 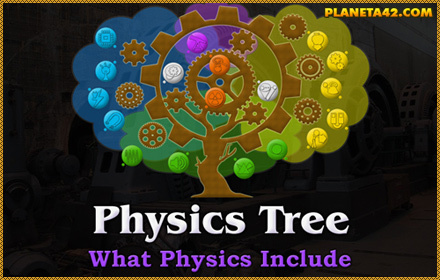 The Physics mosaic games are small flash applications, up to 1 MB, which include basic topics from the physical science in colorful patterns. They are like classroom wall boards, but the elements are removed from the board, and the player need to fit them in correct places. The mosaic games may be used either for study or for testing learned knowledge. Colorful drag and drop fun mosaics. 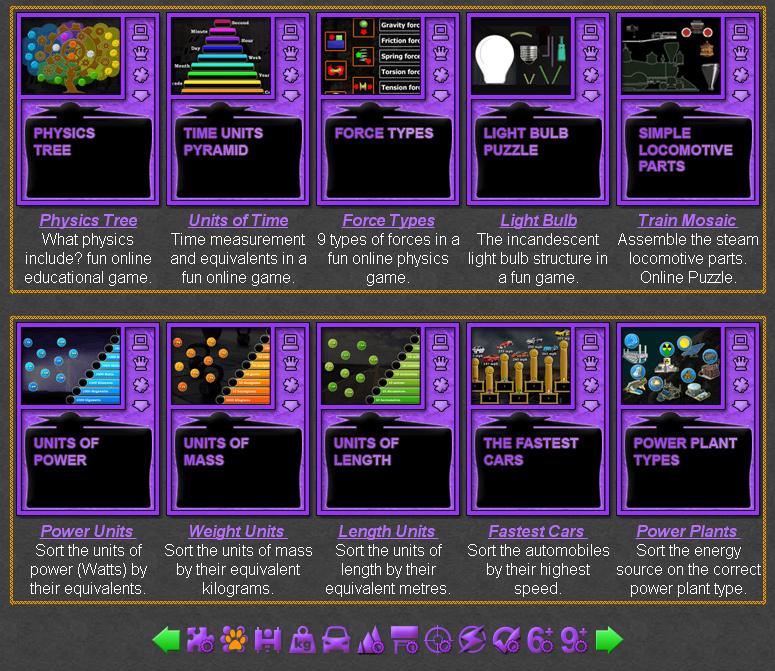 Interactive knowledge boards for physics, suitable for online classes, school lessons and home education. Evaluation system included. Online learning games. Physics learning games. Interactive Physics Workshop - Mosaics. Additional fun applications for physics study. Fun Physics Mosaics Collection. Time Units - Climb the pyramid of time. From seconds to years in measures. Light Bulb Parts - Assemble the parts of the light bulb. Fastest Cars - Sort the automobiles by their highest speed in 2018. Power Plant Types - Drag and drop the energy source on the correct power plant type.